If you’re one of the billions of people worldwide to use mass public transit regularly, you’re sharing a lot more than a commute with your fellow passengers, suggests a new study published Tuesday in Cell Reports. You’re also sharing and swapping the teeming microbes that call our bodies home. Researchers in Hong Kong—home to a public transit system that services 5 million commuters every day—recruited volunteers for an unique experiment. Over the course of several days, volunteers were asked to ride one of eight subway lines on the Hong Kong Mass Transit Railway system during the morning and evening rush hour. Before they boarded, they washed their hands, and once on board, they made ample use of the handrails. After they spent 30 minutes on the train, they exited and had their palms swabbed by researchers. Through these palm samples, the researchers were able to track changes in the microbial community, or microbiome, of the various subway lines as the day went along. What they found, according to senior author Gianni Panagiotou, a systems biologist at the University of Hong Kong, was both fascinating and a bit terrifying. “In the morning each line has its own microbial characteristics, which to a large degree was reflecting the characteristics of the city that it’s passing through. For example, the Metro line that goes along the coast was mainly colonized with aquatic bacterial species,” Panagiotou told Gizmodo via email. 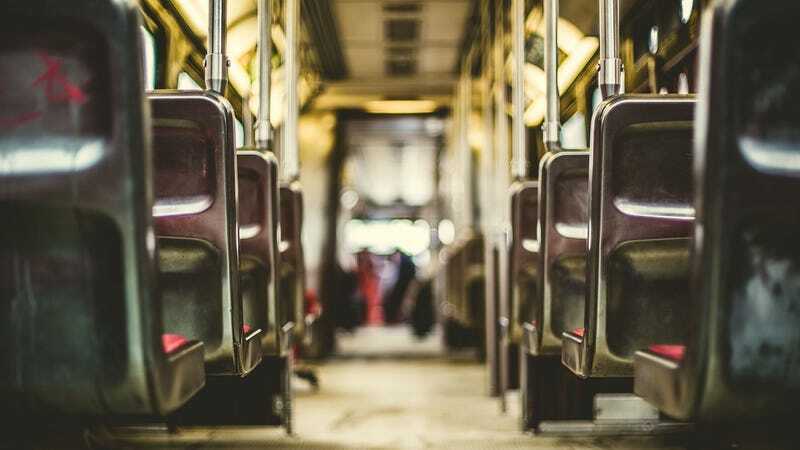 “Now during the day, with more and more people using the Metro, the microbial community started becoming more similar, dominated by the human skin commensal bacteria,” meaning bacteria that typically live on human skin. It’s not the first time scientists have exposed the bacterial underbelly of mass transit. Recent studies have also tracked the microbiomes of Boston and New York’s subways, relying on samples taken from train surfaces or the surrounding indoor air. But Panagiotou’s team, which worked with the architect Chris Webster, also at the University of Hong Kong, wanted to get a better sense of how the changing environment of a city, as well as the people who live in it, can influence the microbiome. Like previous research, they found that most of the bugs that populated the subway were perfectly harmless, whether they came from our skin or elsewhere. But the day-night comparison also showed how efficiently the subway can spread strains of bacteria known to cause disease, as well as swappable genes that allow bacteria to resist antibiotics used in people. In the morning, the team found, only some lines contained these antibiotic resistance genes, or ARGs, but by nighttime, they all did. For example, his team didn’t find that less-busy trains were associated with fewer germs or antibiotic resistance genes by evening rush hour, meaning there’s really no escaping the (relatively tiny) risk of some exposure to potentially dangerous microscopic threats. But one of Hong Kong’s lines crosses momentarily into a major Chinese city. And this line had noticeably higher levels of ARGs than the rest. While this finding doesn’t necessarily mean anything, Panagiotou noted that China is much more liberal about its antibiotic use than Hong Kong. China is the leading consumer and producer of antibiotics in the world, leading to much higher levels of residual antibiotics in the environment. As a result, experts have already detected signs of a growing antibiotic resistance crisis emerging out of the country. “Everything we do, every choice we make, it seems, leaves a mark on the microscopic world that surrounds us,” Panagiotou said. While that’s troubling in many ways, given the unrelenting rise of antibiotic resistance, Panagiotou said his findings also suggest there are positive steps we can take to combat it. In Hong Kong, he points out, the emergence of the SARS virus—which killed nearly 300 people in Hong Kong in 2003 during its first recorded outbreak—led to lasting cultural and public health changes. According to Panagiotou, people still regularly wear masks and are cautious about spreading germs, and Hong Kong features many public hand-washing and antiseptic stations. MTR Corporation, the company that runs the transit system, diligently disinfects and coats the trains with antibacterials, a policy that might explain why the overall amount of bacteria found in the study was relatively low. Similar polices could be implemented in other major cities, especially during flu season.